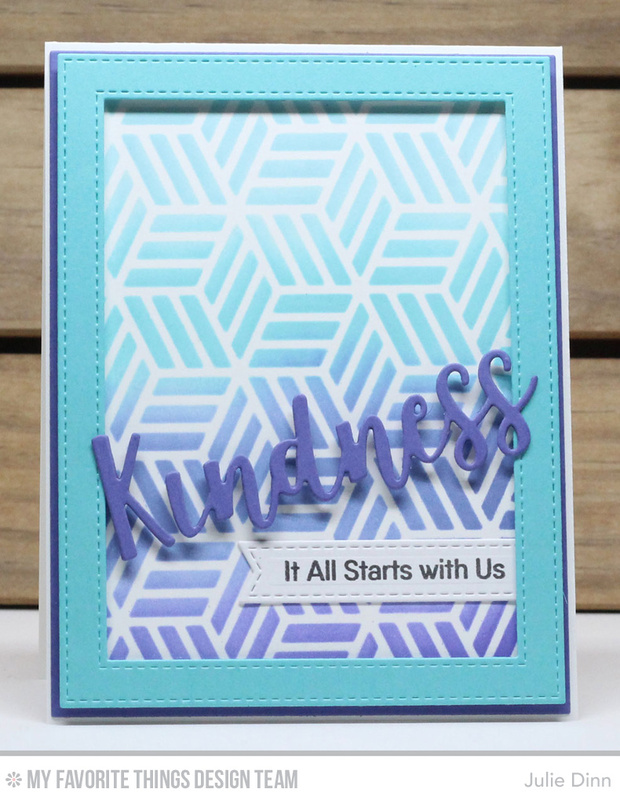 For my card today, I used the fabulous Kind Words stamp set, Kind & Kindness Die-namics, and the Star Grid Stencil. To create the background I used Berrylicious, Blu Raspberry, Lavender Fields, and Purple Rain Premium Dye ink with the Mini Ink Blending Tools. Julie--Nice card! Love the colors!